Veganuary? What is that all about? Have you heard of Veganuary? January was a month where you might have seen a lot of information encouraging people to go vegan - hence Veganuary. Vegan is a sometimes controversial diet which involves removing all foods which come from animals from your diet. So that means dairy products as well as fish, meat and animal derivatives. Never has a diet caused people to feel so divided! Some people follow a vegan diet due to personal preferences surrounding animal welfare, ethical considerations and worries of sustainability. For others it is driven by a desire to ‘be healthy’. With so much information out there and in the media it can be tricky to determine what is accurate and what is mis-information. Personal ethical views aside we looked more into the health and sustainability aspects with Olga Zahariev, who is studying a Masters in Nutrition and Dietetics at University of Chester. “Some animal products (eg. cheese, fatty cuts of meat, processed meat) are high in saturated fatty acids and salt, which are associated with increased risk of cardiovascular disease and high blood pressure. The World Cancer Research Fund, that has studied the relationship between food and cancer for decades, recommended in its 2018 expert report, that red meat should be limited to 350-500g cooked meat per week (equivalent to approx. 500-700g raw meat). This advice was based on the facts that red meat can be a good source of nutrients, however, if consuming in excess of these guidelines, the drawbacks (increased risk of bowel cancer and other diseases) are greater than the benefits. Moderation is key! Regarding processed meats, the World Cancer Research Fund recommended to consume “very little, IF ANY”. This highlights that processed meats (such as sausages, processed cooked meats, bacon) are the major type of animal meat that we need to cut down on. People are often confused as to what the quantities are for meats. What are your thoughts on this? “The daily protein requirement is estimated to be 0.75g per body weight in kg (approximately 50-60g of protein per day for an average adult). A portion of cooked meat is approximately the size of a pack of cards, which contains 20g of protein. If sourced purely from meat, this would mean 2.5 - 3 card packs per day, which is not a lot. If unsure, go and buy a pack of cards! But this number does not yet include protein found in dairy products such as tea and coffee drinks, so if you drink milk and eat cheese, in reality it needs to be less. What about the research showing vegan diets are more healthy? Is there foundation in this? “Reducing consumption of one food group is usually accompanied by an increase in others. Research argues, that the health benefits of vegan diets could be partly due to the increases in eating vegetables and whole grains. Fibre is high in these food groups and is known to reduce the risk of developing bowel cancer. On the other hand, some nutrients are only found in small amounts in plants (vitamin B12, iron, vitamin D, calcium), which is why vegetarian and vegan diets require careful planning to ensure you are eating a balanced diet. Most nutrients can be obtained from plant sources, with B12 and D vitamin being the most challenging ones to source. Also, it is not often covered in media stories that the form in which nutrients are present in animal products can be more bio-available, meaning in the form the body can use most easily. such is the case with iron, omega 3 and protein. In addition, in excessive amounts plants can hinder some important processes in your body such as digestion of proteins and even cause kidney stones or impair thyroid function. Why do we need to soak beans before we cook them? So the research shows that any food group eaten in excess can have adverse impacts. Plants can sometimes have something called ‘anti-nutrients’ in them. These are used by the plant to protect from predators but are not great for us. Because of the beneficial nutrients they are still important for our diet so it is important any diet such as vegan or vegetarian makes sure to understand how to prepare foods which contain these anti-nutrients. For example by overnight soaking of beans or appropriate cooking of green leafy foods." There is a lot of information about the impacts on climate through food production. What are the facts on this? What would you suggest for people confused by all the information out there? "The data states that the type of animal product matters and it would be beneficial to reduce the consumption of processed meat, red meat and dairy. You can either meet your daily protein requirements from healthier animal sources or plant sources. While plants do contain some anti-nutrients they are still a good source of many essential micronutrients and fibre and are linked to improved health. Therefore, a plant-based diet where plants are appropriately prepared with some healthier types of animal products could be a sensible middle ground." How Can Beehive Help you? If you are having health challenges and would like specific nutritional advice we have professionals at Beehive Healthcare who can help. Melanie Jones - Melanie is a functional medicine practitioner who specialises in nutrition. 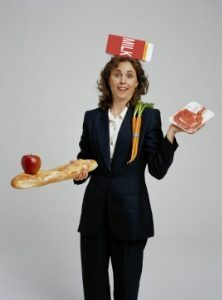 Sandra Leyland-Williams - Sandra is a nutritional therapist and raw food enthusiast.